» Happy Birthday, Color Throwdown!! Happy 5th Birthday, Color Throwdown! I’m excited to be joining in as they celebrate 5 years of sharing color challenges. That’s right … FIVE years! It was my pleasure to be a Guest Designer with the Color Throwdown in March, 2012. You’re always invited to participate in each week’s Color Throwdown Challenge, but this week participants will have a chance to win some amazing prizes! Here are this week’s colors to help get you started. For my project, I opted to try something ‘other than’ a card. Then I realized that I haven’t played with my Sizzix eClips in a while, and the rest was simply a matter of deciding my color order and selecting stamps, etc. Color Throwdown’s cyber birthday party seemed like the perfect opportunity to try out a new-to-me SVG file. Originally I toyed with the idea of using no stamps at all, but it’s been such a long, long time since I’ve used one of my old favorite backgrounds that I just indulged myself and brought out my SU Linen stamp to add the look of some subtle to my purse. Flower layers were cut with a Sizzix sizzlet and my trusty Big Shot. 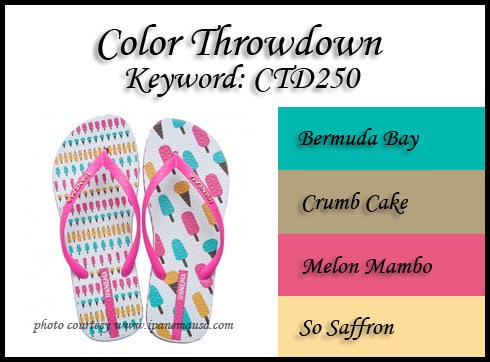 **I hope you’ll treat yourself to more Color Throwdown inspiration today! There’s a fabulous, long list of prizes available, and a complete list of the Color Throwdown Designers and Guest Designers who are blogging & sharing their creations. 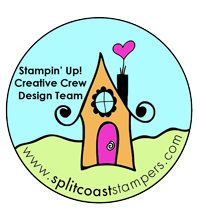 Some incredibly talented stampers have been busy creating so we can all join together to splash these fun colors across the stampy blogosphere today. Enjoy! I love the texture, both the visual texture and the embossed texture!! Such a cute and well done project! Look at that stylin’ purse! I love that Linen stamp. And what Jules said! What a fabulous purse, Bev, love the linen look and that beautiful bloom! Happy Wednesday! Wow, gf, this is one FABULOUS project!! LOVE this sweet purse! Thanks for joining us again to help us celebrate at CTD! 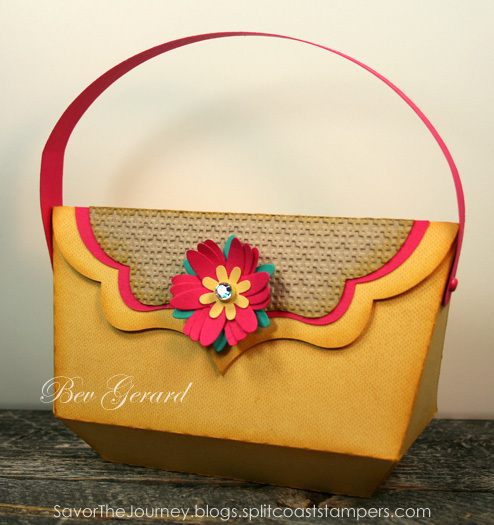 Such a darling little purse, Bev!! Thanks so much for playing along and helping us celebrate! Bev, this is beautiful! What a fantastic design! Thanks for helping us celebrate today! WOW…just plain ole’ WOW!! LOVE this little purse!! What a colorful purse Bev! love the layered flowers! OMG, Bev…your little purse is absolutely adorable!!!! 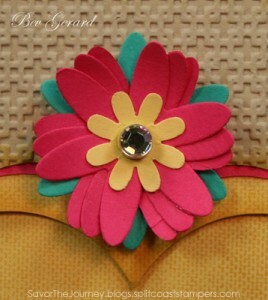 Love how you added the texture on the flap and the flower is the perfect detail!!!! Thanks sooo much for helping us celebrate our special day…it was wonderful stamping with you today!!!!!!!!! Oh, Bev, I love this! And the linen stamp adds just the right amount of treasure! Love the new look on your blog too. How fabulous! I think that stamp was a great idea…made it even more realistic. Fab job!!!! Replying to your comment on my hydrangea card, I wish you had some room for those beauties, too. I have several different varieties. What a fabulous little purse! Love the look of the linen stamped on it–it’s perfect for giving it a fabric-like look. Thanks for joining us for our big Color Throwdown celebration! OMGOSH what a cute purse! Love that linen look 😉 WTG! Love the linen stamped on it and what a fun purse shape!